B. Thomas (Arlington, Texas, United States) on 19 December 2010 in Landscape & Rural. @Marie LC: Thank you, Marie. Hard to believe this is July!! I like the way the boat leads you into the shot. Well done.. Superb compo ! So peaceful ! This is a magnificent image, Barbara...realy awesome. Brrrr. @Denny Jump Photo: Thanks, Denny. I bet it's REALLY cold there right now. Oh, this brings back such wonderful memories of our being there in June & July of 1999! @Judy aka L@dybug: Great place isn't it?! amazing landscape! 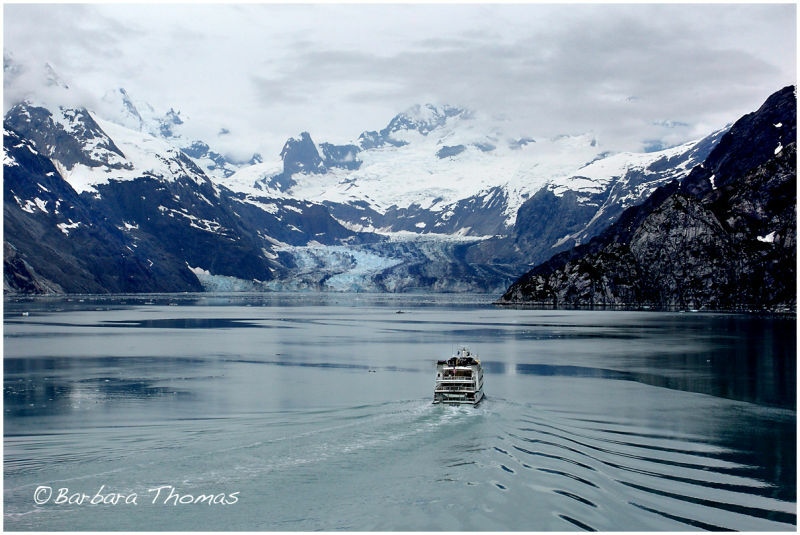 i like the composition and the boat pointing towards the snow capped peaks! this looks and feels very cold and very pure - well done! Yummy shot, I want to go! @LauraS: Thanks. I'd love to go back again too.